Stop letting anger control your life with the help of these simple but powerful messages. Do you find yourself going in and out of relationships because of your anger? Do you notice family and friends aren’t comfortable being around you as much? Do you freak out when you’re in a stressful situation? Do you end up getting into trouble at work because of your temper? Do you wish there was an easy way to control your anger? Sound familiar? Well the good news is, you can change with the help of our album. Your past anger issues don’t have to become a part of your future. 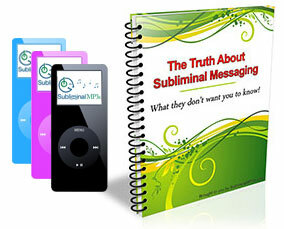 Our subliminal messaging album is not a “magic cure” by any, but by simply taking the time to listen regularly, you will begin to see changes in yourself you probably thought could never happen to you. If you’re tired of your anger contributing to failed relationships and problems at work. If you’re ready to finally take control of your anger and manage your stress better, then listening to our subliminal messages really can change your life for the better. See, your subconscious mind believes whatever you tell it. The subliminal messages communicate directly to your subconscious. The messages can only be heard by your subconscious and by listening to the messages on that level over and over again you will begin to change how you react in times of stress. After listening for a few days, you'll begin to notice things that would normally get you angry, have less of an impact on you, and over the long term your anger issues will become a thing of the past. Willing to talk things over in a calmer state of mind. Dealing with issues without allowing anger to hurt those you love and ruin your relationships. Able to stay in control under times of stress and think more clearly about finding solutions to problems instead of getting angry. Calmer and more aware of how your actions affect other people and thus a better co-worker and employee - others will actually start to enjoy being around you! Ready to deal with situations from a more positive perspective and always staying calm, optimistic and positive in the moment. Focusing on a positive future instead of worrying about negative stuff from the past and keeping a bright and positive outlook to keep anger at bay forever. Once you begin listening to this album you’ll begin to “catch yourself” before your anger can take hold. Just knowing you’ll be able to enjoy life in a much calmer state of mind is priceless. You can listen while you’re working or let the album play while you’re doing stuff around the house. Just stay consistent, and soon you’ll notice changes in yourself that will improve your life overall. Download this album today, you don’t have to waste anymore time being angry, positive changes can happen for you beginning now!